Many women struggle with dark spots and sun damage. The best way to create and maintain an even skin tone is to pair an in-office treatment with an advanced skin care regimen. In his most recent presentation, Joel Schlessinger MD answers frequently asked questions about IPL, or intense pulsed light therapy. He also recommends a post-treatment skin care regimen that will help you maintain a healthy complexion. 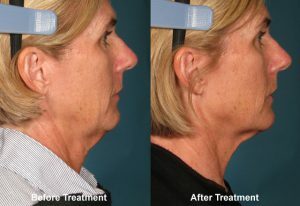 IPL treatment creates a more even skin tone, Joel Schlessinger MD shares. The IPL treatment uses an innovative technology that helps diminish the appearance of dark spots, discoloration, freckles and uneven skin tone. This gentle, non-ablative procedure uses broad spectrum light to safely treat sun damage. Great for patients with active lifestyles, IPL therapy requires no downtime and has a very low risk of side effects. An advanced skin care regimen will help you maintain a healthy complexion, says Joel Schlessinger MD. After receiving an IPL treatment, it is important to maintain your results with an advanced skin regimen. Joel Schlessinger MD recommends using Retin-A, Refissa, Tretinoin or an over-the-counter retinol along with a brightening system like Obagi Nu-Derm. This 7-piece system reduces the appearance of dark spots with 4% hydroquinone. With continued use, you’ll see results in as little as six weeks. SkinMedica Retinol Complex 1.0 is an excellent over-the-counter retinol product. It minimizes sun damage, fine lines and wrinkles by increasing cell turnover. This retinol can be mixed with Obagi Nu-Derm Blender for enhanced results. Finally, Joel Schlessinger MD suggests applying a daily sunscreen to protect your complexion against future damage. Wearing sunscreen every day will help prevent dark spots from returning. EltaMD UV Clear SPF 46 Broad Spectrum Sunscreen is an excellent choice because its gentle, oil-free formula won’t clog pores or cause irritation. Do you have a question about IPL therapy for Joel Schlessinger MD? Share with us in the comments. On Sept. 21, Joel Schlessinger MD spoke at the RxDerm2012 meeting in Austin, Tex. This yearly meeting consists of physicians and guests that want to learn the ins and outs of new and upcoming dermatology technologies. This year, Joel Schlessinger MD spoke to a room of physicians about hand-held devices and top cosmeceuticals. See his presentation below. Other speakers at this year’s conference included Peter Panagotacos, Bill Danby, Lynn Danby, Joe Eastern, Sahar Ghannam, Rhett Drugge and many more. Did you attend RxDerm 2012? Tell us about your experience in the comments below.